How much power does your hairdryer consume? What about your coffee machine? This is something that you could easily measure with a personal energy meter (PEM), but do you own one? And have you measured the consumption of all devices in you household? 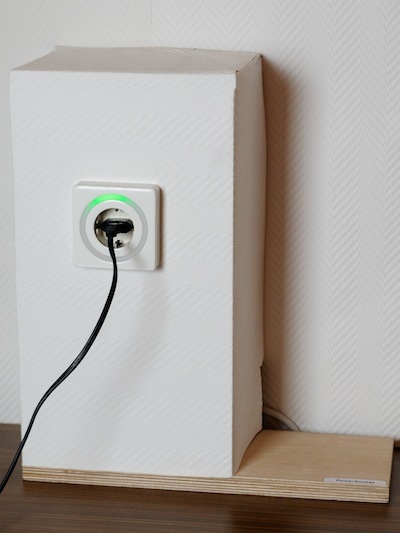 What if we could easily see the current power consumption directly at the outlet? PowerSocket does exactly that! 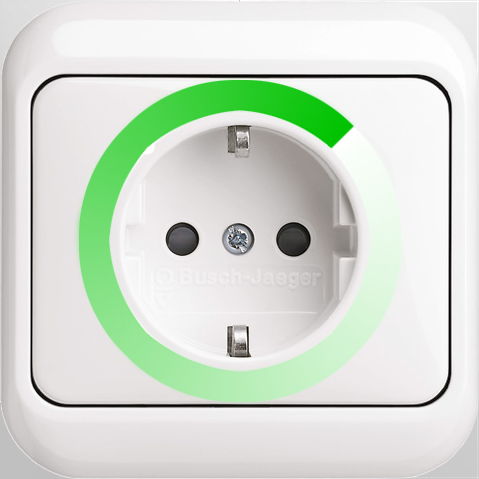 A lit-up ring around the outlet rotates and fades from green to red with increasing power consumption. Pierre Schoonbrood. 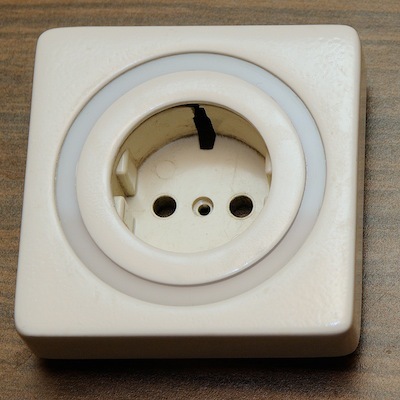 PowerSocket: Implementation of a Small-Scale Power Consumption Measurement Platform. Bachelor's Thesis, RWTH Aachen University, Aachen, December 2013. Florian Heller and Jan Borchers. Physical prototyping of an on-outlet power-consumption display. In interactions, pages 14–17, ACM, New York, NY, USA, Jan 2012. Florian Heller and Jan Borchers. 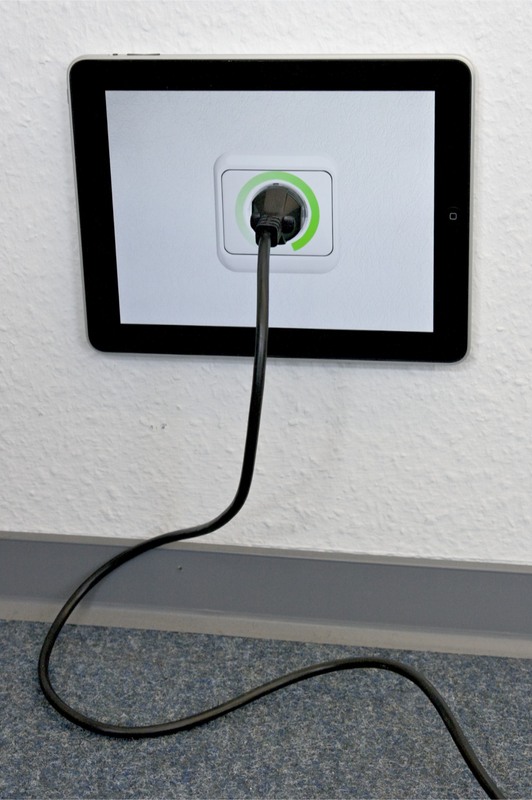 PowerSocket: Towards On-Outlet Power Consumption Visualization. In CHI '11: Extended Abstracts of the CHI 2011 Conference on Human Factors in Computing Systems, pages 1981–1986,2011. Wolfgang Kluth. 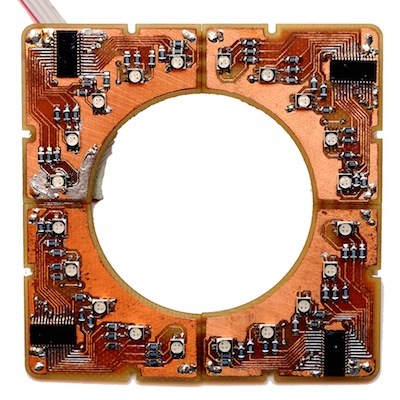 PowerSocket - Implementation and Evaluation of an On-Socket Power Consumption Display. Bachelor's Thesis, RWTH Aachen University,April 2011.